We mill and steep our agaves prior to cooking the juices to extract the most natural, fresh, crisp agave flavor possible. It’s a process we call “Fresh Pressed Agave.” It’s why margaritas made with Sauza® Tequila are the freshest tasting. 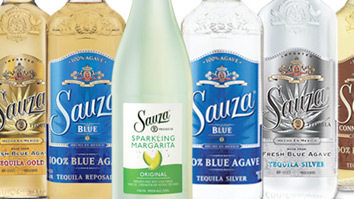 Of course, Sauza® Tequila sparkles too – with Sauza® Sparkling Margarita, our sparkling, ready-to-serve margarita, in four delicious flavors.